There’s just something special about Idaho. Rich, volcanic soil. Pure water from mountain streams. Long, warm days and chilly nights. It’s all these things that make our land, just west of the Teton mountains, perfect for our purpose. 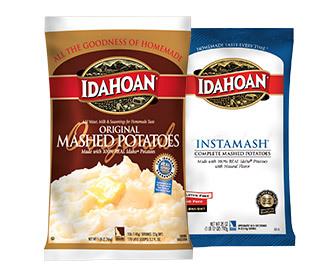 For 50 years, the name Idahoan has stood for the highest quality potatoes in the world. 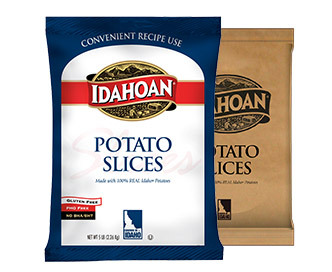 Of course, it isn’t just our potatoes that are Idahoan. 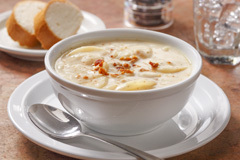 Back in 1960, a group of Eastern Idaho’s potato growers and local businessmen joined forces to share their potatoes with the world – and we still maintain that essential grower connection today. 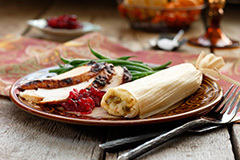 We offer over 180 product configurations for foodservice, retail, ingredient and export channels, using the most sophisticated cooking techniques and equipment available. 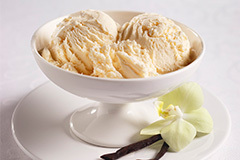 Our products are renowned for their perfect flavor and texture by foodservice operators and their customers alike. If you want that quality in your operation, go right to the source. 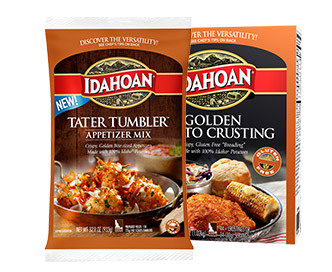 Here, the potatoes – and the people – are genuine Idahoan. 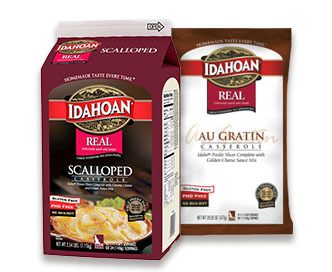 Located on the rolling plains of the Snake River Basin in Eastern Idaho, Idahoan traces its roots back to 1960 when a group of local business men and potato growers joined forces with the goal of bringing the world an array of superior products made from potatoes grown exclusively in America’s premier potato farming region, the State of Idaho. 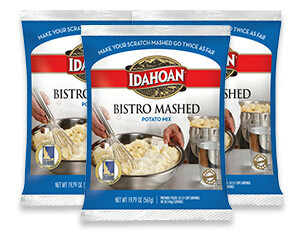 Today, that same passion for extraordinary flavor, texture and product consistency remains the foundation for all that we do at Idahoan. 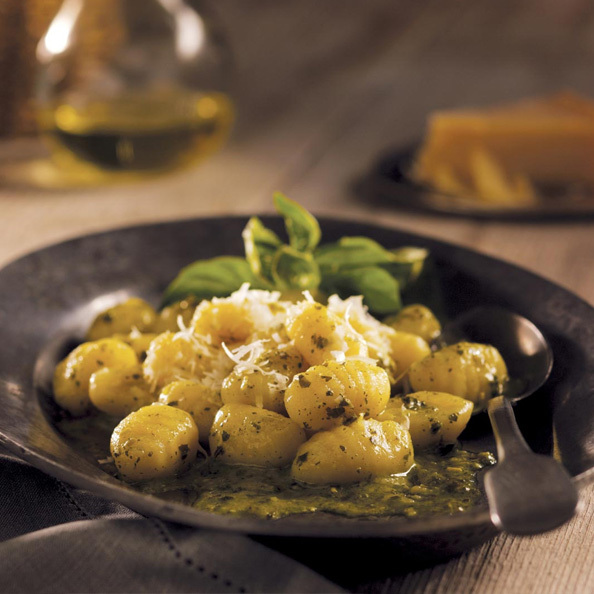 From field to fork, we guarantee fresh potato flavor and texture in every product. 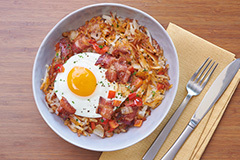 Starting with the world’s most famous potato growing region, and mixing in the ideal growing conditions based upon rich volcanic soil and pure mountain water from the snow of the Teton mountain range, our fields benefit from long warm summer days and cool nights, with the result being superior fresh potatoes. 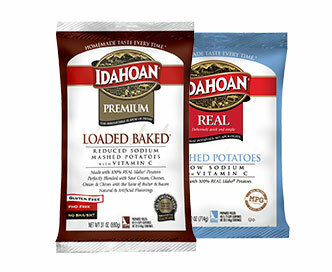 By continually investing in product improvements, new technology, quality testing, track-ability and traceability systems and the “one pass” process that is the foundation of our business, Idahoan provides our customers with convenient, innovative and exceptional tasting potatoes that deliver proven consumer preference and operator success. We know potatoes. That’s because we’re part of the potato grower community and culture. We’re ever mindful of the traditions and values we’ve learned from generations of farming. We express those values through the quality of our products, and through our commitment to building a culture of environmental sustainability into everything we do. By acting as stewards of the land, our company’s founders helped make Idaho the world’s premier potato growing region. Today, we aim to keep it that way. What’s more, by engaging in sustainable practices with all our stakeholders – employees, suppliers and customers alike – we hope to extend that stewardship to every community we serve. As part of the grower community, we’re ever mindful of the traditions and values we’ve learned from generations of farming. We express those values through the quality of our products, and through our commitment to building a culture of environmental sustainability into everything we do. 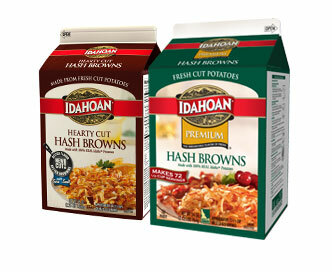 By acting as stewards of the land, our company’s founders helped make Idaho the world’s premier potato growing region. Today, we aim to keep it that way. What’s more, by engaging in sustainable practices with all our stakeholders – employees, suppliers and customers alike – we hope to extend that stewardship to every community we serve. 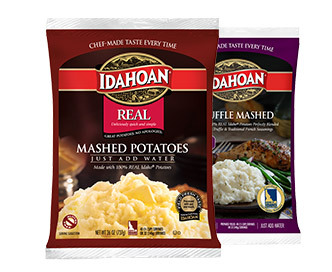 At Idahoan, our potatoes are the best because potatoes are all we do. Our strong partnership with growers gives us control in every aspect of our production process – something most competitors can’t say. 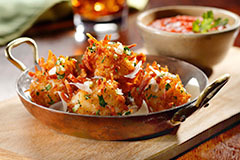 Our potatoes are custom-grown for our recipes – and we’ve used our 50 years of experience to develop proprietary cooking techniques that deliver superior flavor and texture in every serving. 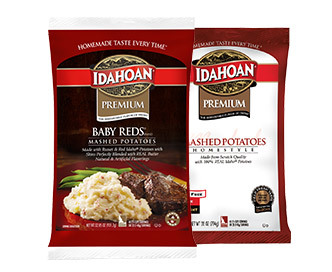 Idahoan Foods will safely produce and deliver the products and services our customers ask for, when and where they need them, priced as we agreed. We are committed to continuous quality improvement–in a safe working environment for all of our employees.